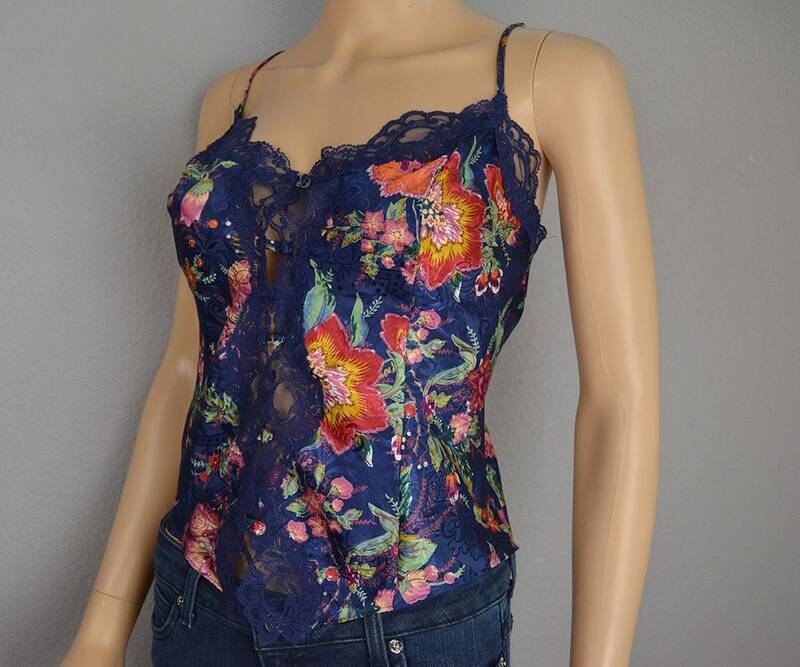 Gorgeous camisole from the 90's by Victoria's Secret. 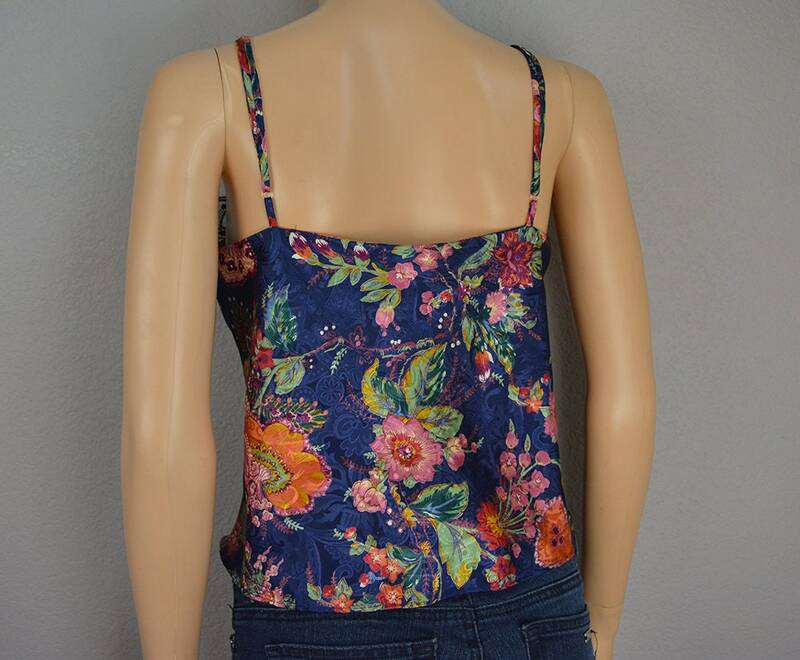 This is navy blue with a pink floral print throughout. 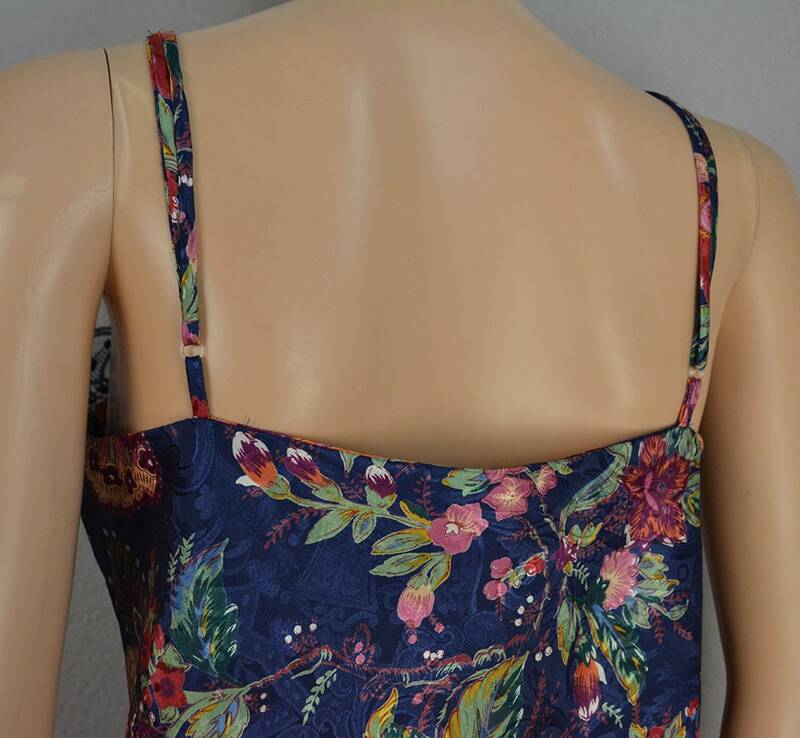 It has a pretty lace trim and adjustable straps. 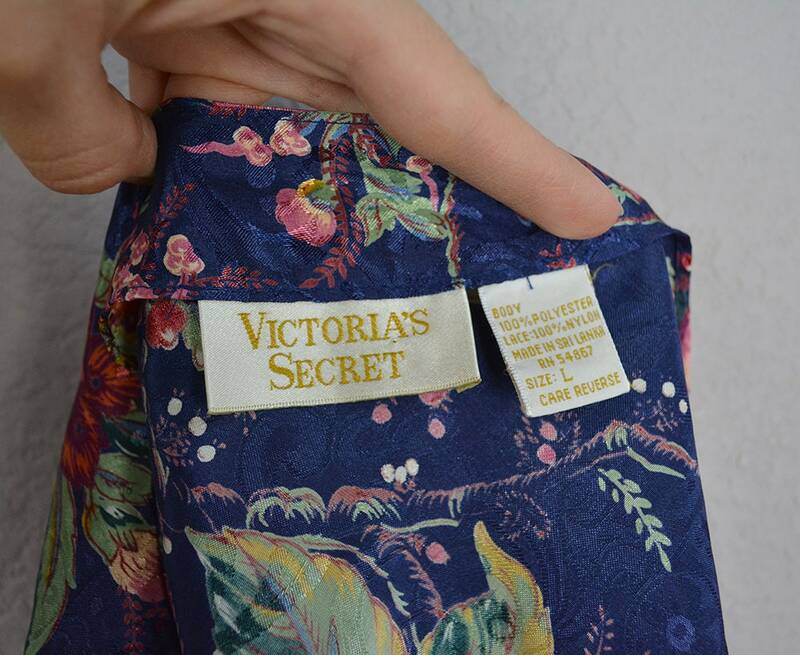 It looks like satin, but it is made from polyester. In excellent condition. 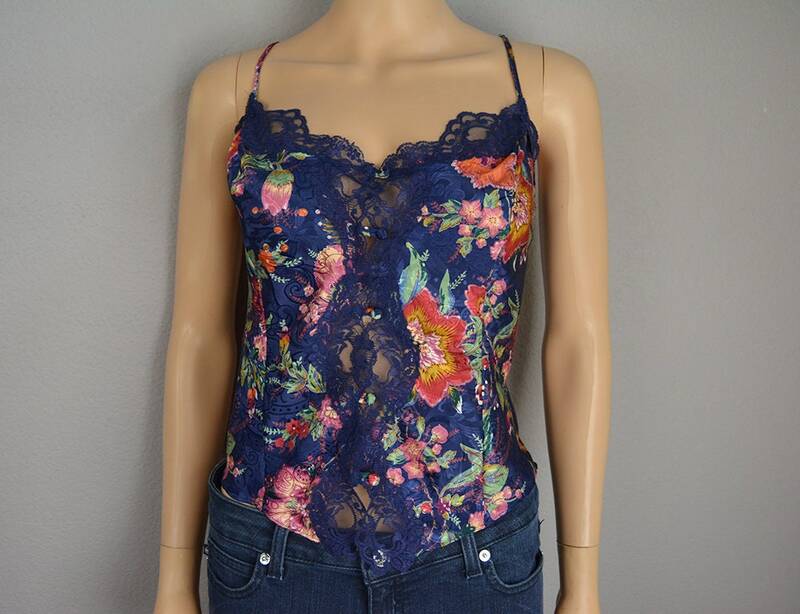 In addition to being a pretty piece of lingerie, it would also look amazing for everyday casual wear.